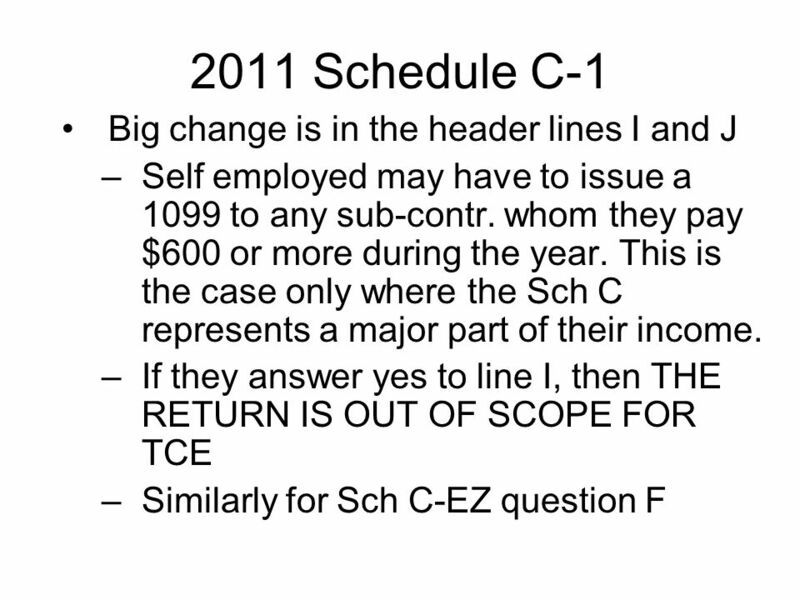 2011 Schedule C-1 Big change is in the header lines I and J –Self employed may have to issue a 1099 to any sub-contr. whom they pay $600 or more during. 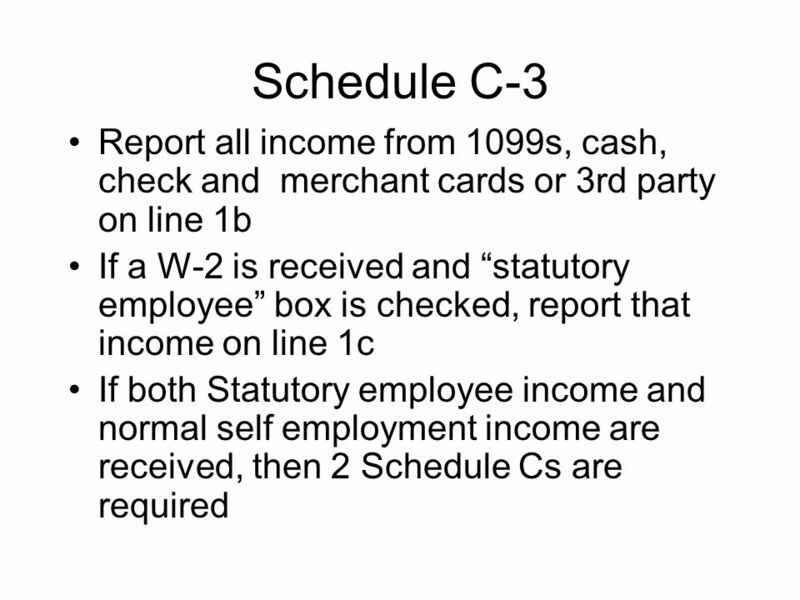 Download ppt "2011 Schedule C-1 Big change is in the header lines I and J –Self employed may have to issue a 1099 to any sub-contr. whom they pay $600 or more during." 1 Bookkeeping Success! We need a certain delight in tending the books, like in tending a garden. ~ Connie Harvey. ShopperScape ® Snapshot Strategies for Paying for Holiday Gifts: Shoppers Using More Green than Red November 2012. 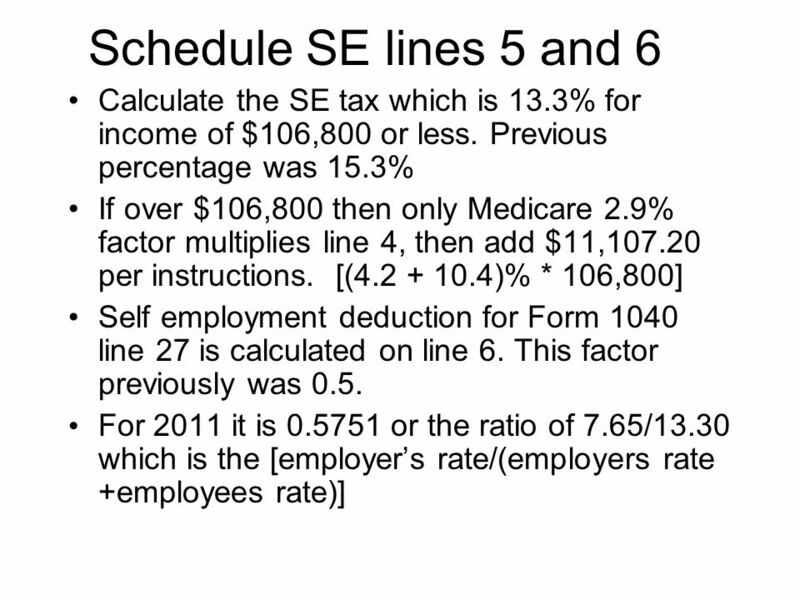 Don Priebe - January 2011Health Savings Accounts1 Not covered in Pub 4491 (text book) Publication 969 (Health Savings Accounts and Other Tax-Favored Health. 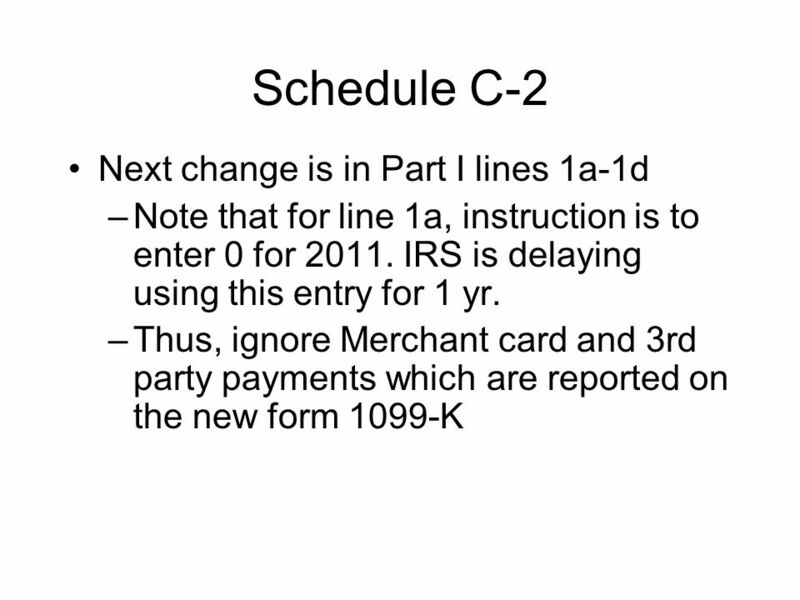 Tax Year TYPES OF PAYMENTS 1040 PG 2 Line & 68 Federal income tax withheld from W-2s, 1099s Estimated payments & $ applied from prior year. Don Priebe -January 2011Cancellation of Debt1 Other Income Awards, Prizes Gambling Income Election, Jury Duty Non-employee Compensation Cancellation of. Copyright © 2006 The McGraw-Hill Companies, Inc. All rights reserved. 6-1. Do you have employees working in Iowa? Information for businesses from the Withholding Information For Employers. Banner Human Resources/Payroll Implementation Project. Banking Complete form 1040EZ. 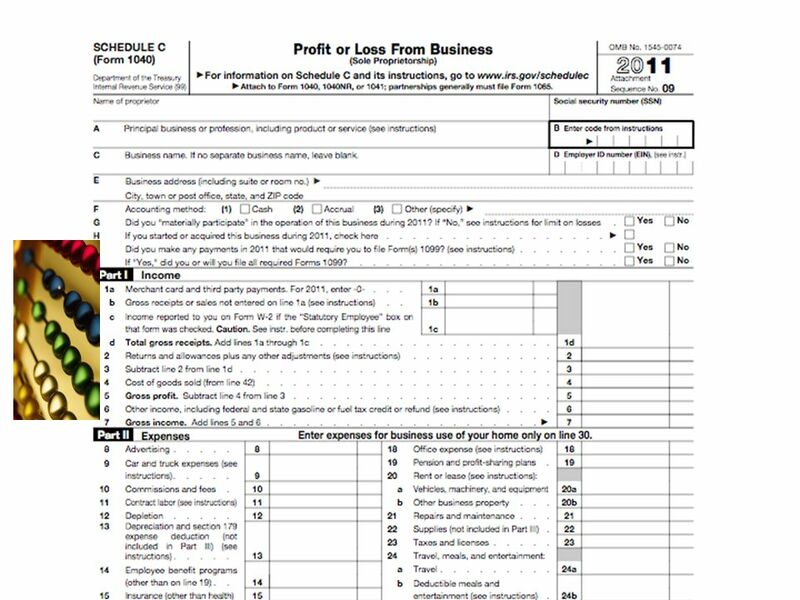 Complete form 1040A.